Carl Craig is a legend of techno. One of the most important names in the second wave of Detroit techno, he built upon the framework laid down by Atkins, May and Saunderson to instrumentally move Techno forward. His pure passion for having his music and the music of his peers heard was a vital component in the evolution of techno from a small Detroit scene to a global worldwide movement. It will be an honour to see him perform at Bugged Out! Weekender. Dubstep’s former wunderkind turned disco and house enthusiast, there is a lot that can be said about Skream’s sets, but the main theme is just how balls to the wall fun they are. Just as likely to play Arctic Monkeys as Prince, Skream is never one to shy away from letting things get a bit rowdy. When he played in Liverpool recently he went to the toilet in a saucepan, heavens knows what he’s going to do at Bugged Out!, but it certainly will be unmissable. 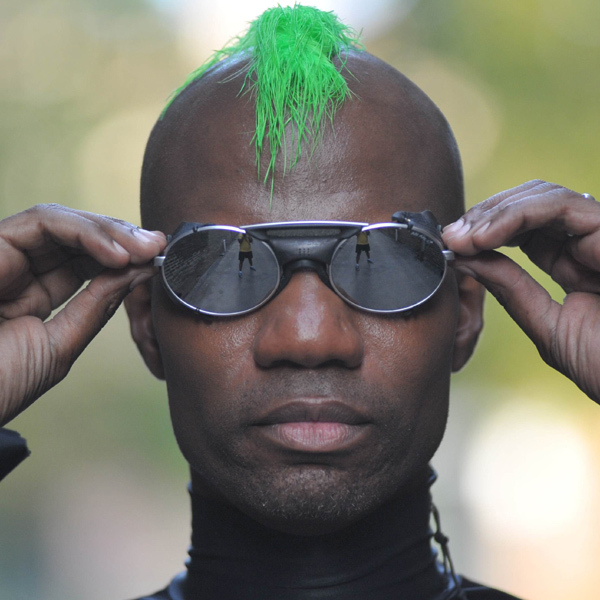 Curtis Jones has produced and DJ’d under many different monikers over his illustrious career but none as popular or well known as Green Velvet. With a focus on more flamboyant music and taking inspiration from punk, it was as Green Velvet that Jones produced his finest music. La La Land was the perfect homage to the chemically enhanced crowd members, whilst bigger than prince referenced the confident nature of ravers, the latter recently being remixed by Hot Since ’82 into a modern house banger that is instantly recognisable in the mix.